The world is rife with uncertainty. Decisions are often made in spite of incomplete data, imperfect knowledge and random variation. Statistics is the study of such variability and uncertainty by developing and applying analytic and quantitative tools which involve logical thinking, problem formulation, probability reasoning and intensive data analyses. Statistics appears in almost all areas of science, business, research, and wherever data are obtained for the purpose of finding information in support of decision making. Therefore, Statistics has been described as the science of making conclusions in the presence of uncertainty. Bioinformatics - helps to solve crime scene complications where potential evidence is stained with DNA from more than one person. The Major caters for students with good mathematics background and is designed to meet a steadily rising demand for specialist statisticians in government, business, finance, marketing, hospitals, IT, marketing, environmental protection, scientific research and universities. 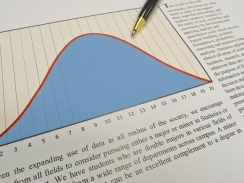 Meanwhile, Minor in Statistics is an excellent complement to a degree in other fields. For more information, please read our programme brochure for 2019-20 or visit the Faculty of Science’s website (https://www.scifac.hku.hk/prospective/ug/6901-bsc/majors/statistics). For the collection of Facebook posts and stories about the Major, please click #HKU6901BScStatistics.